Should this plugin be added to the WP core? 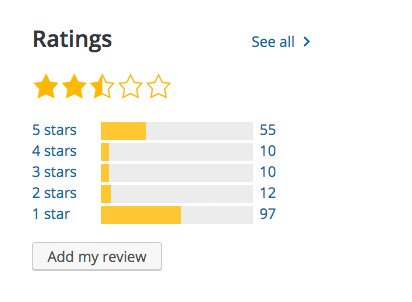 Do plugin ratings mean anything? Leave Gutenberg as a plugin. Basically, replace the RTE if you think it needs it; but don't mess with existing functionality. Waaay too much is built on it. Don't force more needless work on millions of WordPress developers and users. No feature is worth such massive potential disruption for so many people. Talking high stakes here, folks. What do YOU think about Gutenberg? Do you think it should be added into the WP core, or left as a plugin? Or abandoned altogether in favor of something better? Share your thoughts (but be nice!) in the comments below. The first iteration of Gutenberg introduces a new editor design featuring content blocks that can be directly manipulated. Even though the initial version aims to replace only the writing screen, future iterations planned for next year go into page templates and, ultimately, full site customization. LOL! As if all of that hasn't been possible for years now, using one of the many great drag-n-drop, content-building plugins. Like installing a plugin is too much to ask of WP users? It takes like what, a few clicks..? [Gutenberg is] a big change, and various paths will support existing WordPress functionality (such as shortcodes or meta-boxes) to help their transition. I don't know about you, but to me, that sounds like they are saying that shortcodes and meta boxes eventually will be removed. Which is the opposite of what many of us have been told by team Gutenberg. The ol’ bait & switch..
As if the entire community is pulling together to make it happen. It feels more like WordPress is being hijacked by a few overzealous developers, for whom 25% market share just isn't "enough". Gotta completely reinvent the wheel and "fix" something that works perfectly fine for millions of users. I'll continue to update this post with more news as it becomes available. Currently it sounds a lot like shenanigans and crafty maneuvering, especially with the apparent back-peddling on promises made regarding meta boxes, custom fields, shortcodes, which thousands upon thousands of WordPress plugins make use of. When will Gutenberg be in core? 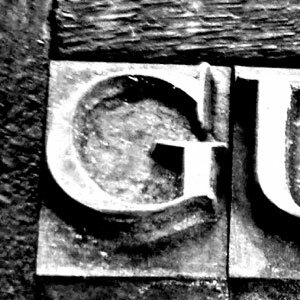 The plan is to release Gutenberg in WordPress 5.0 early next year, so now is a great time to test and get ready for it. This ominous warning is then followed by an invitation to help, along with a link to the Gutenberg Github page. Amen. I completely agree that there is no good reason to make Gutenberg part of the core, much less mandatory. If it’s going to go into core, there needs to be a way to turn it off, if desired. No doubt a plugin will appear very quickly to do so if that option is not provided in WP. I was told by one of the plugin developers that they are not removing the Text Editor. It’s practically the only WP thing I use. That makes sense. I think Gutenberg is still a good option for users. But for CPT, making it opt-in is the best solution for now. I’m having a recipe website, thousands of recipes, all using the custom fields for ingredients and cooking time etc. Are they really planning to remove the custom fields? This will mean that I am not going to update WP any more. If they are going to remove the customs fields, I’d like to know from them how to convert the values to the new system. It kind of looks like that they’re going to leave the metaboxes alone. “I’ve said repeatedly we are going to account for meta-boxes. The only uncertainty is what is technically viable and how it will be displayed in the new UI. That would be great. Ideally if/when Gutenberg is disabled completely, the current/original metabox UI would display. So that any modifications to meta functionality and display only happen if Gutenberg is enabled. Just as it does currently, as a plugin. Fully agree. I still have a bad feeling over this when they’re going to implement it they way they say now. After an in-my-head cost-benefit comparison, I couldn’t see how the benefits of adding Gutenberg to the core could outway the costs. So, like you, I’m firmly in the “keep it as a plugin” camp. And keep it voluntary all the way, to boot! Totally agree, they are crazy! Just like visual composer and avadas fusion builder and even wpmu dev’s page builder, are all optional. You can click a button and use the drag and drop interfaces or just use the simple RTE. I HOPE this is what they choose to do for Gutenberg as well! I think Gutenberg should be either a plugin or if a part of WordPress, it *has* to be able to be turned off! What I can see as an advantage to Gutenburg being part of WP is WordPress effectively mandating a consistent and universal set of Editor Shortcodes for all to use. I *HATE* the concept of a client being locked into a particular theme or plugin because of proprietary shortcodes! I’m also all for keeping/making it a plugin. Too bad that Core no longer listens, so that most likely the monstrosity will be added anyway. As John above says, if Gutenberg lands in WP I am seriously planning on fixing WP’s version to 499.x and be done with it. I don’t think that a fork is going to happen which means that ultimately (within a year or two after 5.0 drops) I will have to switch over to something else. I have made a few things already with Grav CMS, which for one is a lot faster than the average WP install and a lot safer too due to the fact there is no database. We’ll see where this strands, but I’m not keeping my hopes up. They are sacrificing their core user base for the sake of appealing to potential Wix users. I say we fork WordPress if they screw it up. I’ve tried other CMS, including a serious attempt at switching over to Grav, but decided against it for numerous reasons. Jeff – why did you decide against Grav? I tried submitting some bug reports, really wanting to get involved and contribute, but for some reason was treated like a scumbag by the Grav team. Tried being super nice and helpful, but was mocked and ridiculed and by Grav devs. Plus the Grav software itself is just too buggy for my needs. Just a bad scene over there, so cannot recommend Grav. Looking for more “friendly” CMS/teams to work with. I say we fork WordPress if they screw it up. I think if you want to wait for them to screw it up, it is too late. A fork is not something that can be done in a day… The right time for a fork in my opinion is now. I think if you want to wait for them to screw it up, it is too late. Thanks for the reply on Grav. Keep it is a plugin, just as Jetpack is a plugin and not in WP core. If in WP 5.0 core, then make it an opt-in. Not install Classic Editor plugin, enable setting and then is it disabled. Updated the post with recent info on Gutenberg! I’d seriously be interested in contributing to a fork if one is made. As a committed ACF Pro user, the Gutenberg flavour of WordPress has no place in my workflow and I will keep my sites at 4.9.x if I have to. Just make more noise to have the option to turn it off if you want to use a non open-source page builder plugin that you need to pay $ for each year instead of the free open-source option that WordPress will be offering so it continues being the worlds most popular blogging platform for everyone. Great theory except that there are oodles of absolutely free page builders. Which destroys your entire premise. Totally agree with you Jeff on leaving it as a plugin. The WordPress core team are apparently making Gutenberg part of WordPress providing option to disable it via the classic plugin which should be the reverse. Gutenberg is a critical module yet as concur with you that it cannot be added to Wp Core.because there are numerous modules that are essential as Gutenberg so no compelling reason to add it to centre. I really did not have the idea about Gutenberg Jeff? Can this be disable as plugin? I think there is some way to disable it, probably with another plugin.